Johnny Pemberton talks to people. It’s funny, weird, inspiring, and sounds cool. Updating! We'll be back shortly. 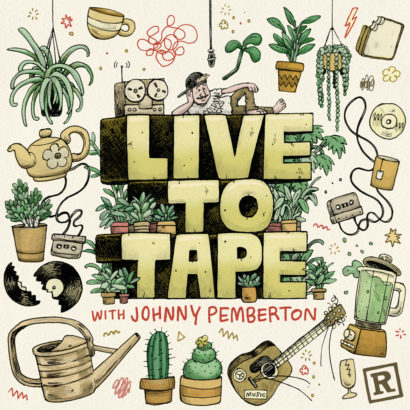 Johnny Pemberton is a comedian, actor, writer, mildly knowledgeable gardener, reggae enthusiast, and friend to both insects and mammals. He is the voice of ‘Peanut’ on the Disney XD show “PICKLE AND PEANUT”. He can be seen in the films “21 JUMP STREET” “22 JUMP STREET” “NEIGHBORS 2” “THE WATCH” “ANT MAN” “BAND OF ROBBERS” “THE 4th” and Armando Ianucci’s Oscar nominated film “IN THE LOOP”. He plays ‘Bo’ on NBC’s “Superstore”, ‘Max’ on season 4 of FXX’s “You’re the Worst”, and ‘Alangulon’ on the FOX series “Son of Zorn”. He was born and raised in Rochester Minnesota and currently resides in Los Angeles.